Greensations, a leader in new and innovative products from Wayne Perry, inventor of Sinus Buster and Sinus Plumber nasal sprays, has launched a new skin care product for reducing lines and wrinkles in your face. People the world over are always looking for ways to look and feel young. This is one of those great ways to make you look young again. Helps you to reduce fine lines, wrinkles and crows feet that make you appear old. Venomous is a new kind of anti-aging serum. While traditional anti-aging products target wrinkles, eye bags and age spots separately, Venomous targets all aspects of aging skin in one formula. It can be used anywhere on the face, neck or hands to reduce wrinkles, creases, sagging, discoloration and dryness. Venomous is Not Like the other serums and creams on the market that contain silicone. Venomous does NOT contain any added chemicals or gluten. Along with capsaicin, the heat component of hot peppers, Venomous also contains a triple peptide found in the venom of the Asian Temple viper. Known commercially as Syn-Ake, this synthetic peptide mimics the action of Botox when topically applied. Youthful Trends has revamped its highly acclaimed caffeinated makeup primer with a brand new label that really improves the look and feel of the product. Inventor Wayne Perry keeps pushing the envelope with new products that are all natural and highly effective. Youthful Trends caffeinated "spray on" makeup primer is designed for women on the go. It's the only all natural primer, and the first to use caffeine to help tighten pores and lines while protecting skin from UV damage. Unlike sticky primers and serums, Youthful Trends can be used as a foundation primer and setting spray. It also hydrates skin and provides anti-aging benefits. The previous bottle had a tan and black label that seemed to lack any real pop. This new label is so exciting because it really livens up the product image. The new label is blue and pink and really shows off the product well. It is a vast improvement and hopefully will increase sales even more. Youthful Trends allows pores breathe and keeps makeup looking beautiful all day long. This proprietary formula also reduces facial sweating on the hottest days. The water based spray dries evenly and can easily be applied on the go. It's fantastic stuff that works for all skin types with all types of makeup including mineral powders, creams and liquids. Supercharge your makeup regimen today for flawless beauty with the world's first caffeinated spray primer. Youthful Trends primer is also used by many professional makeup artists working in major motions pictures, television and fashion. Unlike all the sticky primers out there that contain silicone, Youthful Trends does NOT contain added chemicals or gluten. Fastin Supplement Store specializes in the retail distribution of the extremely popular diet and energy pills under the trade name Fastin®. 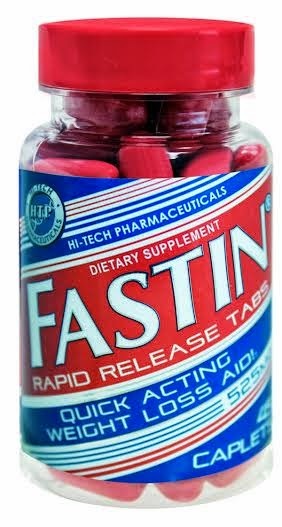 Fastin Rapid Release caplets are the newest offering from Fastin Supplement Store. They are different than Fastin tablets and Fastin XR capsules. Fastin Rapid Release caplets are red in color and come in a 45 count bottle. Fastin is manufactured by Hi Tech Pharmaceuticals in Atlanta, GA.
For more information regarding Fastin, Fastin XR and Fastin Rapid Release, please visit the online store of Fastin Supplement at www.FastinSupplement.com. On November 30, 2014, the website called Seeking Alpha published an article titled "Playing Mine Games, Tanzanian Royalty Exploration Is About To Fold". You can read the article here. This article is written by an author with a pen name of James Emerson, CFA. Whether or not this is a real person or not I am not sure. The title of the article is quite blunt regarding the outlook for Tanzanian Royalty Exploration's future prospects as in, there are no future prospects for the company since it is about to fold. - Tanzanian Royalty Exploration Corporation has only C$1.8 million of cash remaining on the balance sheet. - The company missed the target date for commissioning the Buckreef Mine, triggering a penalty payment to the JV partner. - TRX did not make the required penalty payment, and may be in default of its obligations under the Joint Venture agreement governing the company's primary asset. - Ernst & Young LLP highlights the existence of a material uncertainty that raises substantial doubt as to TRX's ability to continue as a going concern. This article is not the first written by this author about Tanzanian Royalty Exploration. Previous articles on the same web site, Seeking Alpha, have had a similar theme to them. In fact, Tanzanian Royalty Exploration and James Sinclair publicly refuted one of these articles back on Jun/10/2011, and you can read the press release here. So the question is, who is right? Who is legitimate? Is it this unknown author on this interesting web site writing hit pieces from behind the keyboard of his computer somewhere? Or, is it Jim Sinclair, a wealthy and well known gold guru who is running the public company and will even answer his phone and talk to you about any questions you might have? If I was a betting man, I would be on Jim Sinclair and not trust what you read coming from an unknown source, just like me. You can learn more about Tanzanian Royalty Exploration by visiting the web site http://www.tanzanianroyalty.com. Did Gold Really React To FOMC Statement Today? The Federal Reserve came out with their FOMC statement today and the mainstream media immediately spun it as "hawkish" and "bullish" for the U.S. Federal Reserve Note (aka the "Dollar"). Immediately, Gold and Silver were taken out to the woodshed and beaten up to reflect the strong dollar and negative gold and silver impact of the Federal Reserve actions. But this is not the first time that gold has reacted negatively to the Federal Reserve statements. In fact, it almost always happens this way. You see, the Federal Reserve never let's gold rise on a day when they are speaking or making an announcement or releasing information. You can almost be certain that anytime the Fed chairman speaks or information is released by the Federal Reserve, that gold and silver will get hammered. This is a policy, not an open market interpretation. This is by design, not by analysis and actual market reaction. This is a fraud, just like the Federal Reserve itself. Just like our president and our banking system and our "free markets" that are anything but free. So, did gold go down because the fed is "hawkish". Is the almighty Federal Reserve really going to stop printing money and creating Federal Reserve Notes out of thin air? If history has any bearing on the future, than the answer is "Probably Not". SAN FRANCISCO (AP) - One of the biggest gold nuggets found in modern times in Northern California's historic Gold Country is going up for sale. This awesome nugget is expected to fetch around $350,000. The person who found the nugget this summer 2014 was on public land using a metal detector. So I guess there is still gold to be found in those hills out there. Switzerland Set To Make History? Will The People Demand A Return To Gold Backing Of Currency? The Swiss people are set to vote on a historic campaign called the Swiss Gold Initiative. What is the purpose? To return Switzerland to a system of sound money founded on the back of Gold as money. You see, the Swiss have a long history of strong employment economic prosperity based on a strong currency. But in recent years, the politicians in Switzerland have sold off a large portion of the Swiss gold near the bottom of the market and at the same time they have printed more paper money on a relative basis than any other country. This may be set to change in the next 38 days though. The people of Switzerland will be voting on a measure that will require the Swiss National Bank to repatriate all physical gold held abroad. This represents around 300 tons of gold. Not only that, but the initiative would require the Swiss National Bank to hold 20 percent minimum of its reserves in physical gold. This will give the Swiss Franc a 20 percent gold backing. Lastly, it would outlaw any further sales of gold by the Swiss Bank. This initiative is going to be voted on soon by the Swiss people and if passed will become a part of the constitution. This may have a huge effect on the gold market in a positive way for higher prices as the Swiss would require governments to return the gold they supposedly hold on behalf of the Swiss as well as forcing the Swiss Bank to begin purchasing large sums of physical gold on the open market. Caledonia Mining is a company that continues to under perform. Hi Tech Recall Of Certain Products Continues. Hi Tech Pharmaceuticals in Norcross, GA, has issued a mandatory recall of certain of its dietary supplements as it has been ordered to do so by the FTC (Federal Trade Commission). ES, and Benzedrine. This notice amends the recall notice dated June 24, 2014.
sooner are being recalled. See attached images for current and recalled product packaging. images for current and recalled product packaging. our customers. Enclosed are a reply form and postage paid envelope. You are required to return the reply form. There is also a reply form that needs to be filled out and returned to the company. After spending years and years gathering land, developing resources, developing strategic partnerships and keeping the common stock from being diluted, Clifton Mining Company has finally begun production. For those of you following the company, Clifton Mining Company has a partnership with Desert Hawk Gold Corp. whereby Desert Hawk takes care of all funding, production, and operations while Clifton Mining gets to sit back and collect royalties on the production. This is good news for those invested in Clifton Mining as cash flow will increase with the new royalty payments. Click here to visit Clifton Mining website. Fastin Supplement Store is pleased to announce that it has launched a LinkedIn page devoted to helping promote it's brand of diet and energy pills that sell under the name Fastin Supplement. Fastin Supplement is sold in two different forms. The original Fastin Diet Pill is sold as a white tablet with blue specs. Fastin tablets are sold in 60 count bottles and each pill contains 375 milligrams of powerful appetite suppressant and energy boosting ingredients. Fastin XR is the extended release version of Fastin Supplement. Fastin XR is sold as a blue and red capsule. Fastin XR capsules are sole in a 45 count bottle and each capsule contains 525 milligrams of powerful appetite suppressant and energy boosting ingredients in a time released capsule form. Fastin Supplement has been providing consumers with high quality Fastin Dietary Supplement for over ten years and continues to look for ways to promote awareness of its website and other social media outlets. The new Fastin Supplement Store LinkedIn page can be found here. Fastin Supplement Store also has a Facebook page can be found here. Fastin Supplement can be ordered online by visiting there website or by calling the company toll free at 1-800-310-9108. Nearly two months ago, certain protein products purchased from and sold by Whole Foods stores were tested for dangerous levels of heavy metal contamination. The results were not good. Many of the protein powders they were selling contained extremely high levels of heavy metals such as lead, cadmium and mercury. These heavy metals are toxic and poisonous to the human body. They can cause severe health problems when ingested in large enough amounts. Since Whole Foods was put on alert about these findings, they have done absolutely nothing to inform their customers about the health risks of these products, nor have they issued any recalls or banned any of these products from their stores. In response to their lack of action and lack of concern for their customers, Whole Foods may soon face a class action lawsuit for selling toxic heavy metal products. If you or anyone you know shops at Whole Foods, please make them aware of the possibility of being poisoned from their protein powders. Silver is one of the most essential metals on the earth. Silver is rare and has many qualities that make it an indispensable material for manufacturing and technology. What I can not understand is why it is so cheap when priced in dollars or Federal Reserve Notes. Silver historically has been used as money. Silver was used as money before gold and more often throughout history than gold. Silver was used in United States coinage up until 1964 and is still used in United States Mint Proof sets and American Silver Eagles. 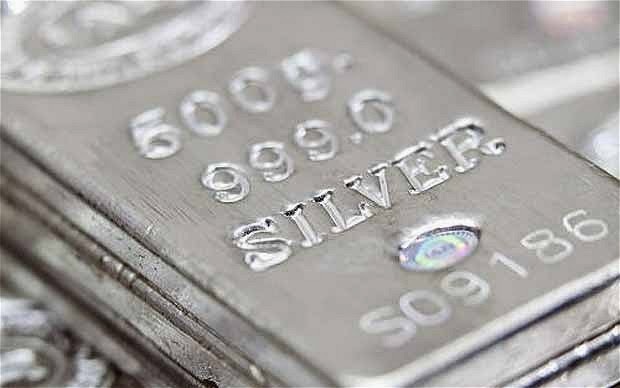 Silver has historically traded at a ratio of 16:1 in terms of gold. Meaning you could buy 16 ounces of Silver for every ounce of gold you could buy. Today this ratio is way out of whack. As of this writing, the price of silver $19.41 per troy ounce while the price of gold is $1294.60. This puts the current Gold to Silver ratio at 66.7. This is purely ridiculous as this means you can buy 66.7 ounces of silver for each ounce of gold you can buy with the same amount of dollars (Federal Reserve Notes). If you take a look at how much silver is mined each year compared to how much gold is mined each year you will find that the ratio is currently about 9 to 1, or 9 ounces of silver is produced for every 1 ounce of gold. This would be a much more understandable ratio than the current ratio of nearly 67. Another interesting thing to think about is that all or almost all of the gold ever mined is still available in the form of jewelry, coins or bars. This is estimated to be around 5 billion ounces of gold mined in history and currently available in above ground refined form. If you look at Silver, it is estimated that 60 or 70 billion ounces have been mined throughout history, but it is estimated that only 1 billion ounces are available in above ground refined form. In this respect, silver in available form, is actually 5 times rarer than available gold. This is because silver is also an industrial metal and is consumed in industry for items discussed above as well at more that were not discussed. So once again I will leave you with the question: Why is silver so cheap? That is a topic for another day, but I have a feeling that silver will shine brightly once again and that the price relationship between silver and gold will once again come back into a more reasonable balance. This means that silver must rise in price in terms of its big brother gold. Fastin Supplement Store, an online retailer of Fastin Diet Pills and Fastin XR Extended Release Diet Pills, has launched an affiliate program with Share A Sale. Companies wishing to monetize their traffic for diet and energy pills Fastin and Fastin XR can join the affiliate program by signing up for an account and then collect commissions on a monthly basis. Signing up for this opportunity is quick and easy. To learn more, visit the Fastin Diet Pill Affiliate Program and enter your information as required. To purchase Fastin Diet Pills or Fastin XR Diet Pills, visit www.fastinsupplement.com. The rogue agency know as the FDA has taken an aggressive stance against a natural supplement producer in Atlanta Georgia. The FDA has seized over 2 million dollars worth of products from Hi Tech Pharma in Atlanta, GA. They took these products because they contain an all natural and effective plant stimulant called DMAA. DMAA is a safe and effective dietary supplement taken by millions of people for many years. Since it is so effective, the FDA wishes to ban it. The FDA does not want consumers taking effective and safe natural supplements. The FDA would like to keep the American population on dangerous pharmaceutical drugs and keep the money pouring into the powerful drug companies. The FDA took products like Fastin and Fastin XR from the warehouse of Hi Tech Pharma. Hi Tech has not cowered to the FDA like most companies and instead has filed a lawsuit against the powerful rogue agency. ALPINE, UT, Feb. 25, 2014 -- /PRNewswire/ - Desert Hawk Mining, Clifton Mining's partner on the Kiewit project, has just received the final tranche of a financing to place Kiewit into production. All necessary permits have been received, and the $5.7 million will fund the construction of a heap leach operation. A bond of $1.3 million has just been posted with the State of Utah. We are hopeful that construction will begin within weeks. Desert Hawk has announced that it plans to produce 20,000 ounces of gold annually from this Operation. Clifton will receive a 5% net smelter return. Clifton trades on the U.S. OTC: (CFTN). For additional information, contact Dr. Ken Friedman, President at 303-642-0659, William Moeller, Chairman at 801-756-1414, or see the website at www.cliftonmining.com. Note: Any statements released by Clifton Mining Company that are forward looking are made pursuant to the safe harbor provisions of the Private Securities Litigation Reform Act of 1995. Editors and investors are cautioned that forward looking statements invoke risk and uncertainties that may affect the company's business prospects and performance. Small Mining Company "Clifton Mining Company" Starting To Gain Some Traction? Clifton Mining Company (CFTN) is starting to catch a bid lately. Why? Possibly because their partner Desert Hawk Gold Corp. is finally approved to begin mining on the Clifton Properties. This is the first time that Clifton properties will be under production and should finally start throwing off healthy amounts of cash to Clifton in the future. Take a look at Clifton Mining. A penny stock with great properties that is set up more like a royalty company. Clifton's partner, Desert Hawk Gold is in charge of all production including all related expenditures. Clifton Mining gets paid royalties on the production at its properties. Fastin Supplement Store is pleased to announce that it has expanded its product offering and is now carrying a limited supply of the highly popular diet and energy pill Fastin XR. Their website is www.FastinSupplement.com and they have always carried and sold the diet and energy pill Fastin. "We are excited to now offer both of the premier diet and energy pills on the market today" said a top level executive from the company. Look for more product offerings in the near future. After years of waiting for the BLM and Utah Division of Oil, Gas and Mining, the permitting for the Kiewit project has been completed. Now it is time to go to work and make some money. Congratulations to Rick Havenstrite of Desert Hawk Gold Corp. who is Clifton's operating partner for the project.